Should you train for Kilimanjaro? While it is not necessary to undergo any specialised form of mountain specific Kilimanjaro training, we do strongly recommend that if you’re planning to climb Kilimanjaro, you should certainly give plenty of thought to how much time you can make available to train for Kilimanjaro. Why Should I Do Any Kilimanjaro Training? An unconditioned body can usually be pushed to the summit one way or another but considerably more suffering than necessary is involved and less is gained and remembered from the experience. The difference between having an awareness and appreciation of your surroundings or else having to concentrate on your breathing to the exclusion of almost everything else, will normally boil down to the simple issue of whether you have chosen to take your Kilimanjaro training seriously in the months leading up to your expedition. Some frequent remarks we hear are ‘I wish I’d trained more seriously for this,’ and ‘I didn‘t realise it was going to be this hard,‘ and ‘I’m going to have to come back to try this again!’. Too often the adventurer will procrastinate, waiting for a piece of kit before starting, or allowing themselves to be let down by team mates. We advise climbers to guard against this and start their Kilimanjaro training today, even if this just means a little trunk strengthening by doing an 8 minute abdominal lesson guided by a YouTube video. While we’re happy to welcome climbers back for a second attempt, and while we do have people come and climb a new route with us who have already succeeded in reaching Kilimanjaro’s summit the first time, we want your Kilimanjaro climb to be successful the first time round. Many will want to climb Kilimanjaro but may imagine that the necessary standards of fitness and strength are simply unrealistic for them. But unless you suffer a debilitating medical condition, this simply isn’t so. Indeed even if you do suffer a debilitating medical condition this still may not be so. 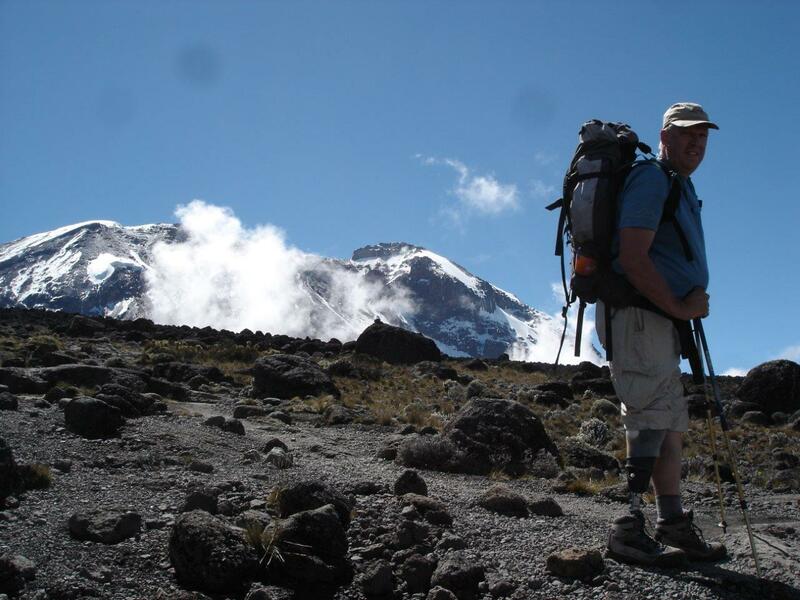 We have guided several climbers to the summit who have only enjoyed the use of one leg, and to date we have assisted three quadriplegic adventurers to Kilimanjaro’s summit. While none of us would ever describe an ascent of Kilimanjaro as ‘easy’ (and we run some 200 expeditions a year) nonetheless we can reassure you that climbing Kilimanjaro is something that is attainable by all able-bodied people following a modest course of Kilimanjaro training, and who have the right mindset. Think of all training as being simply a process of your body adapting completely naturally to a new demand that it is already perfectly designed to perform, but that it is yet to be ‘told‘ it is required to perform. Your Kilimanjaro training should begin today and should be progressive. Procrastination and excuse-making are the big enemies of success. Begin by determining what physical level you’re presently at. The most comprehensive and informative way to do this on your own is by performing the Multistage Fitness Test. This is a simple test that you can do on a nearby playing field or even on the pavement outside your house. However, if you choose not to perform this test it’s a good idea at the very least to do a timed run that you’ll have the opportunity to repeat as your training progresses. It’s essential that you have some kind of index activity against which you can measure your success. Open the beep test in Soundcloud. Or scroll down to see the Soundcloud player. You’ll be running continuously back and forth until eventually you find the increasing pace impossible to keep up with. When you fail to reach a marker in time for the narrator’s voice to announce the start of the next shuttle, for example “Level six, three”, you need to deduct one from your failed level and remember this score. In this example your score would be six point two. Now enter your score into the calculator: the level number (eg. 6) into the first box, and the last successful shuttle number for that level (eg. 2) into the second box. Press ‘calculate’ and make a note of your predicted VO2 max score. This is a very reliable method of estimation and appears to be accurate to within 0.1 ml/kg/min when compared with laboratory testing. Compare your score with researched standards for different ages using the table below. Now start your Kilimanjaro training in earnest by aiming towards running, cycling or swimming three times a week for a minimum of 30 continuous minutes per session. Kilimanjaro training in the final two months of preparation, to sessions of 7-8 hours once a fortnight. Repeat the MSF test from time to time in order to gauge the progress you’ll be making with your Kilimanjaro training. These are relative VO2max scores, in the units of mls of oxygen per kilogram of body weight per minute (ml.kg-1.min-1). When creating your own Kilimanjaro training programme, at a bare minimum you should be aiming to complete some sustained activity for at least 30 minutes three times a week, and in the final three months before your expedition, you should aim to do a long walk over hills lasting 5-8 hours, at least once a month, though preferable a little more frequently that that. Remember, however, that the main reason we want you to train for Kilimanjaro is that you’ll enjoy the experience so much more. If you’re very busy with work or are cautious about ensuring that you recover from an injury you’ve suffered, and so are unable to train much, don’t worry. The chances are that we can still help you reach the summit, provided you’re willing to endure some discomfort and have plenty of flighting spirit on the assault from high camp. 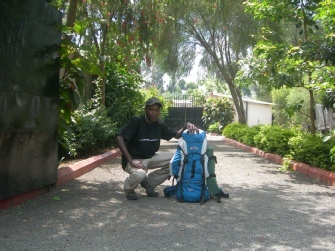 If you have contacted us at least three months before your proposed Kilimanjaro climb and are able to prioritise your Kilimanjaro training and get our nearly every day, you will amongst the very best prepared trekkers if you commit to doing the Team Kilimanjaro training programme that we have devised to turn a sedentary office worker into a lean climbing machine. You are recommended to download our 12-week Kilimanjaro training programme. Is It Still Worth Doing Some Kilimanjaro Training if My Climb is Imminent? If you’re climbing within the next 2-3 days and you haven’t done any training, we recommend that you just do stretches and warm-ups at home and do not risk injury by trying to make gains too quickly. If you have at least a week before you are scheduled to climb Kilimanjaro, we would suggest scheduling two runs. The first should be around 20 minutes and you should stop if you feel any tightness or pain, and the second should be slightly more intense and should not exceed 30 minutes. If this is all you’ve had time to do, ensure that you have a clear 48 hours of quality recovery time before flying out to Tanzania. Need a Kilimanjaro packing list?